Seann Walsh is to have a regular role in a new high-profile ITV sports panel show. The comic will be the 'umpire' in Play To The Whistle, which will be hosted by Holly Willoughby and air on Saturday nights. 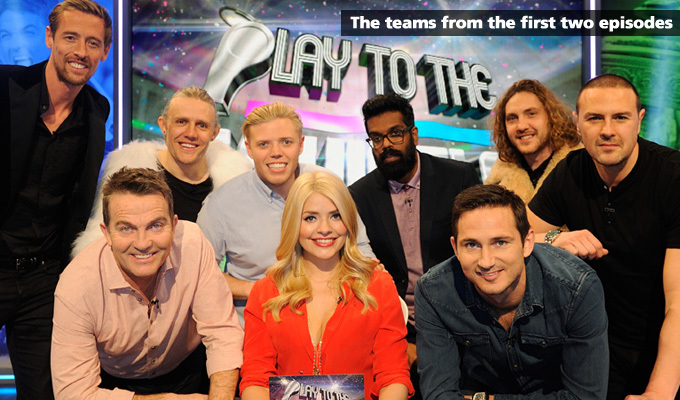 Walsh will be keeping score team captains Frank Lampard and Bradley Walsh in the show that tests 'sporting knowledge, funny bones [and] physical skills'. The show will also feature guest comics, with Rob Beckett joining footballer Peter Crouch in the first episode; and Paddy McGuinness and Romesh Ranganathan appearing in the second. The commission follows the long-running succes of Sky 1's crossover sports entertainment quiz, A League Of Their Own.